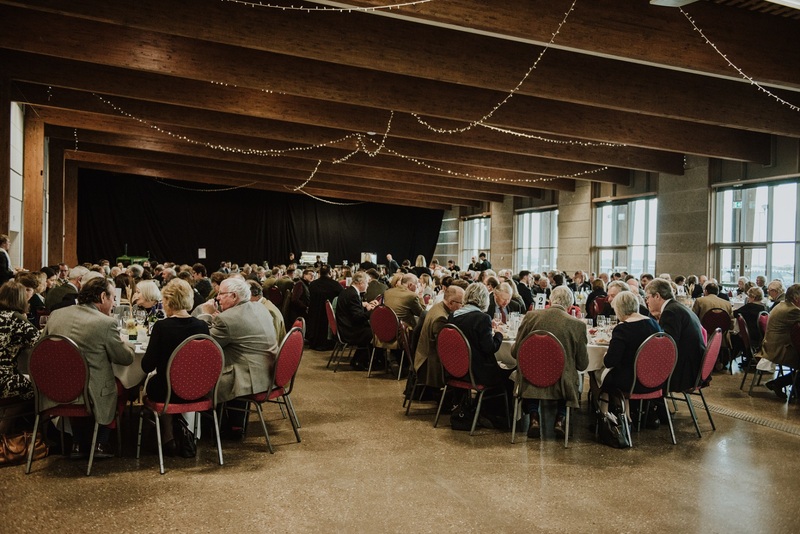 MORE than 250 past, present and future Lincolnshire farmers raised a glass to mark 150 years of the Lincolnshire Agricultural Society (LAS) last week (7 January) at a celebratory farmers’ lunch, hosted at the Lincolnshire Showground. “I am absolutely delighted and very honoured to be president during this historic year for the society. I am really looking forward to gaining a better understanding about all the range of educational initiatives that the society undertakes, and of course the highly anticipated Lincolnshire Show. As an added touch for the special anniversary year, local brewer Ferry Ales Brewery has handcrafted a unique Golden Ale especially for the Lincolnshire Showground, named Harvest Gold, which features citrus flavours with a pleasant floral, herbal and earthy aroma. “As a charitable organisation, we are truly passionate about promoting and supporting education, food and farming within Lincolnshire’s local community. “Over the years, the LAS has done a fantastic job at teaching and inspiring young people and the next generation about Lincolnshire’s agriculture and the importance of farming in a sustainable environment. The society has significantly increased its events to reflect these aims, including shows such as the Lincolnshire Farming Conference, Countryside Lincs and of course the Lincolnshire Show. The society is also strongly committed to teaching school pupils, consumers and farmers themselves about the importance of agriculture through events, advice and a support network which is open to all. As part of this commitment, Countryside Lincs is set to return to the Showground in April, with a fun-filled and interactive day about food, farming and countryside to inspire and educate visitors about Lincolnshire’s heritage and agricultural industry. Tickets are now available for the Lincolnshire Farming Conference and Countryside Lincs and can be purchased at www.lincolnshireshowground.co.uk. For more information about the Lincolnshire Agricultural Society, the Lincolnshire Farming Conference or Countryside Lincs, please visit www.lincolnshireshowground.co.uk or call 01522 522 900 for further details.